Welcome to Thirsty South, dedicated to all things drinking well, here in Atlanta and beyond. Jack Daniel’s, 1968: Have you ever imagined you might get to taste a bottle of Jack Daniel’s from 1968? What would it taste like? Would you be able to sense the tumult of history that took place that year, or the optimism of the first orbit around the moon? Thoughts on history and a bottle of Jack. Atlanta’s Old Fourth Distillery: Digging deep into the past and present of Atlanta booze, at the city’s first legal distillery in over a hundred years. O4D is turning out Atlanta-made vodka and gin with a healthy dose of history. Georgia Distilleries and Spirits Brands: How many distilleries would you guess there are now in Georgia? How about more than a dozen? Here’s a handy list and map, updated over time, indicating which spirits are distilled vs. sourced, and which distilleries are offering tours. An older, stronger, better Rittenhouse Rye? Heaven Hill has a new “Maryland-style” rye called Pikesville. Thing is, it’s basically Rittenhouse with two more years and ten points of proof. So is it better? Find out with this review and tasting notes on both Rittenhouse Bottled in Bond and its newer, but older, sibling. Plantation Stiggins’ Fancy Pineapple Rum: So what exactly is this new beast? Take the multiple choice quiz to test your knowledge of pineapple rum and the pursuits of David Wondrich and Maison Ferrand. Then do what you can to find a bottle. The Pappy Old Fashioned: Toying with the notion that Pappy Van Winkle 15 year old bourbon can, or should, be used in a cocktail!? 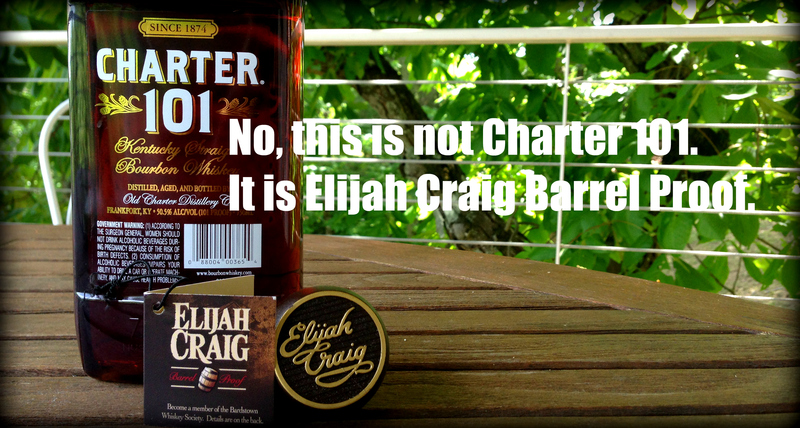 The Elusive Elijah Craig Barrel Proof Bourbon: Finally finding, and then promptly breaking, but still tasting… a bottle of elusive whiskey. Best Value Bourbons: A few top picks for great value bourbons at under $20, under $30, and… under $100! ?